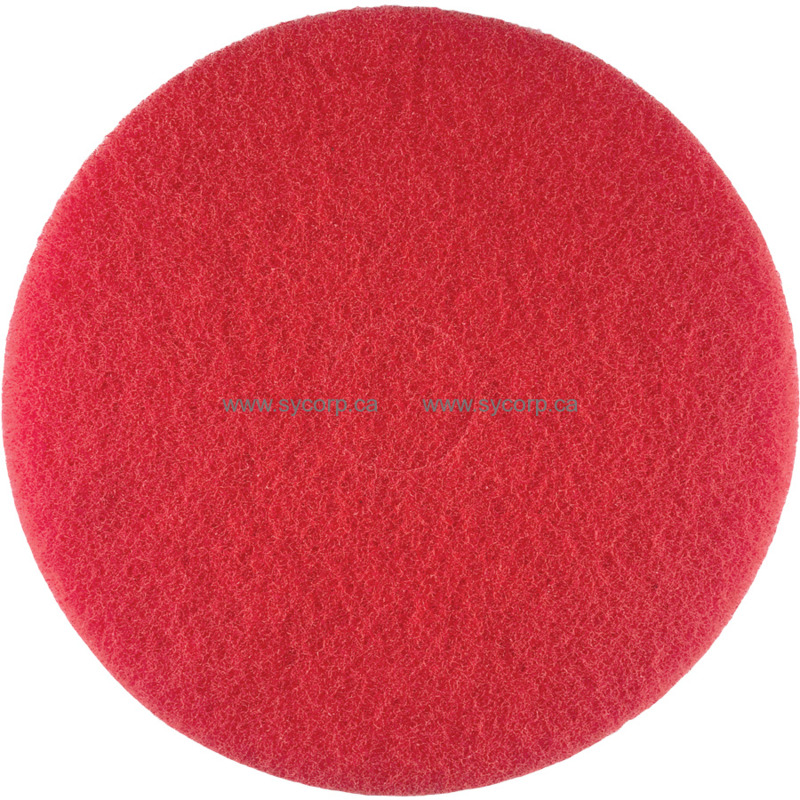 17 inch Red Spray Buffing Pad. This pad is used for spray buffing or as a general floor cleaning pad under a rotary floor machine (175 - 300 rpm). Quickly cleans and removes scuff marks and enhances floor appearance. Works great on automatic floor scrubbers for light duty cleaning.